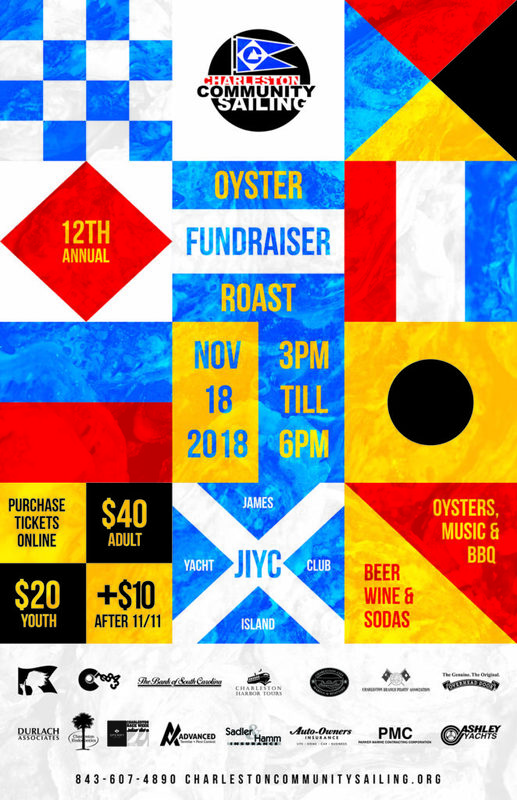 On Sunday, November 18th we will be hosting our 12th Annual Oyster Roast Fundraiser at the James Island Yacht Club providing an opportunity for family and friends to gather together for Lowcountry oysters and a variety of festivities. This event is a chance to enjoy food and entertainment while supporting a very worthwhile cause — public access to sailing! – Follow us on Facebook, Instagram or Twitter and spread the word!